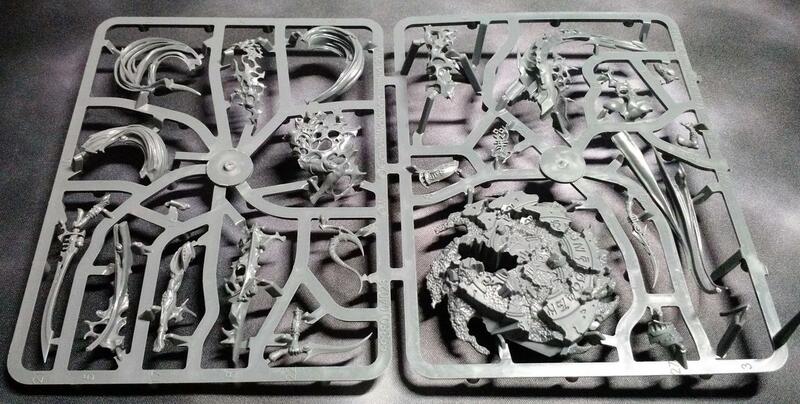 Let’s take a look inside the box of Gathering Storm II – The Triumvirate of Ynnead. 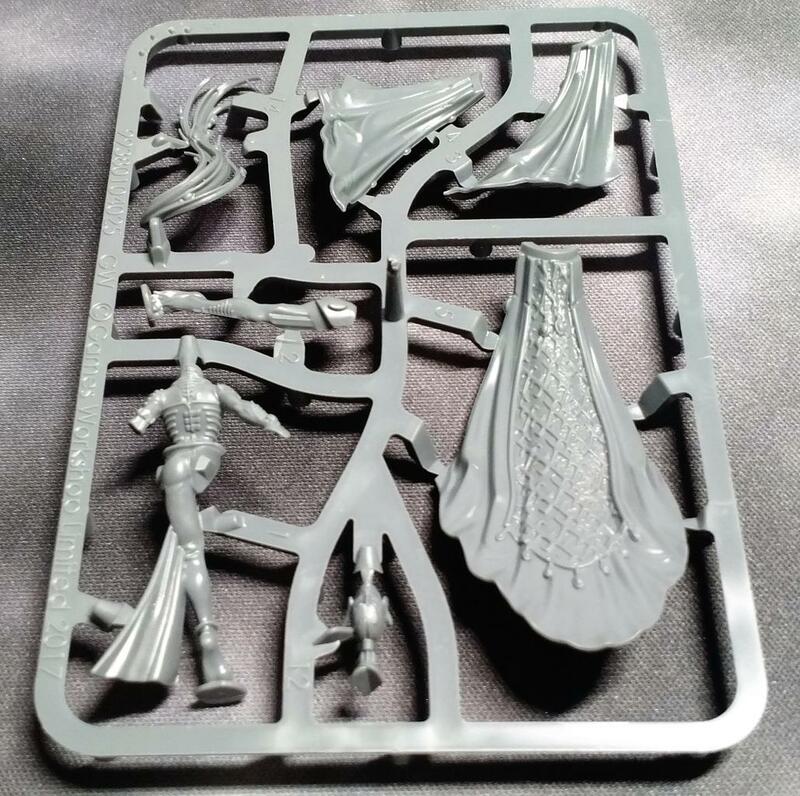 Unlike the first Triumvirate, the Triumvirate of the Imperium, this set contains three new characters – The Yncarne, Yvraine and The Visarch. The background for these new Eldar Special Characters is all included in Fracture of Biel-Tan. Like the first Triumvirate, this kit comes is presented in a slipcover and contains a full-color mini-poster of the three characters. I am sure there is a collector out there who will get all of the prints framed and it will make quite the addition to a game room. Now, onto the models themselves. 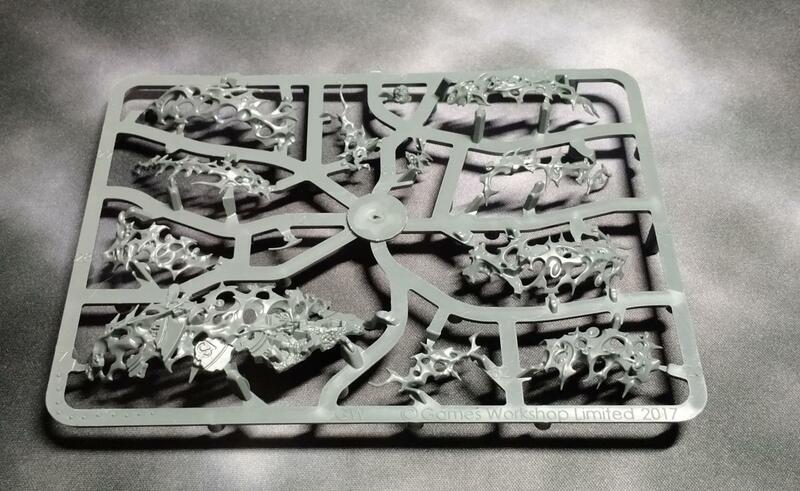 With characters like The Yncarne it is fascinating to see how the sprues are laid out. The Games Workshop plastic kits have come a long way to create such a dynamic and impressive model. The modeled base inscribed with Eldar runes is a nice touch and it does look like the Yncarne is being summoned out of Wraithbone. Of course, all of these intricacies can also lead to one hell of a time during painting. Luckily there is an excellent painting guide in the February issue of White Dwarf. Next up we have Yvraine and her gyrinx. 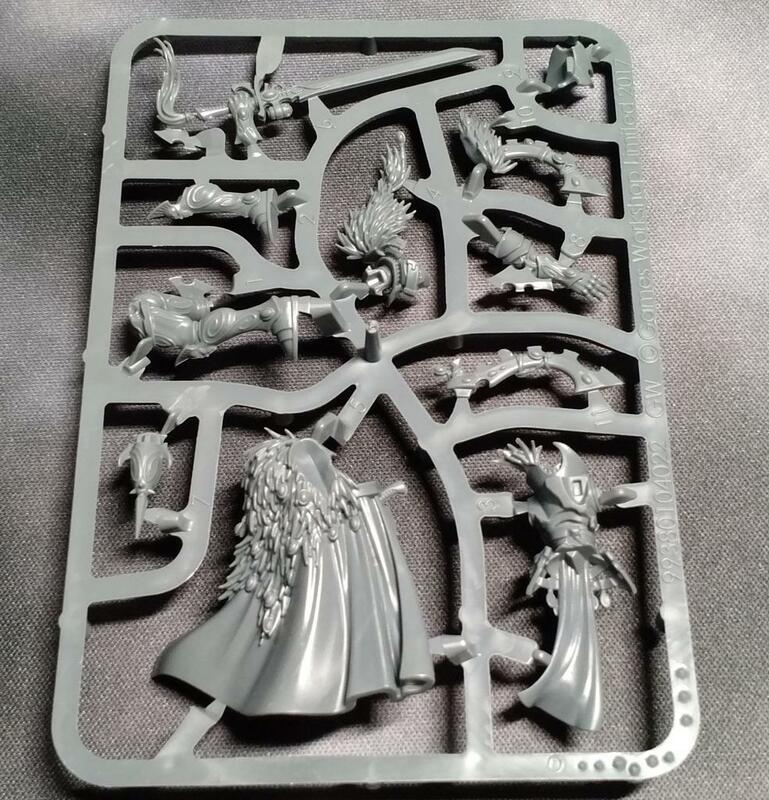 This model is open for an incredible conversion as an Age of Sigmar Vampire. After a head swap (maybe just the hair) and a different sword, you’ve got yourself a Vampire Courtesan. And finally, my personal favorite, The Visarch. Although The Visarch is the least technically impressive model, the engraved armor, exotic fur cloak and sinister pose make this model, although understated, my favorite in the set. 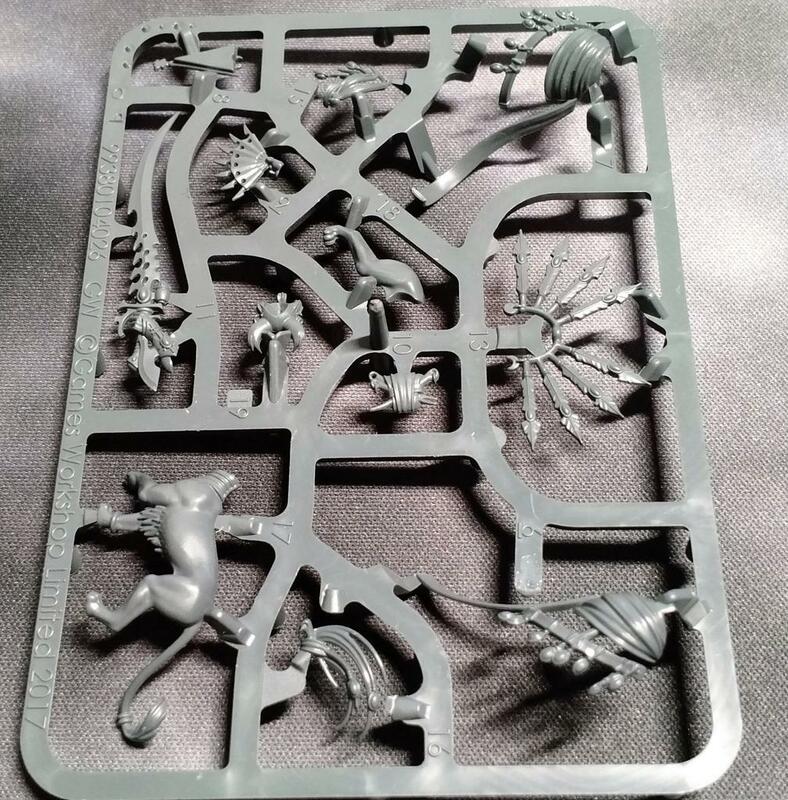 This short write up is not a review, just a quick look at what is included in the set. We have already seen what is coming in Gathering Storm III and GW is showing no signs of slowing down. The only question is, what will come next?